David Zhang graduated in Computer Science from Peking University. 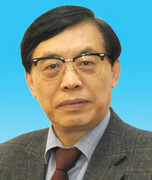 He received his MSc in 1982 and his PhD in 1985 in both Computer Science from the Harbin Institute of Technology (HIT), respectively. From 1986 to 1988 he was a Postdoctoral Fellow at Tsinghua University and then an Associate Professor at the Academia Sinica, Beijing. In 1994 he received his second PhD in Electrical and Computer Engineering from the University of Waterloo, Ontario, Canada. He has been a Chair Professor at the Hong Kong Polytechnic University where he is the Founding Director of Biometrics Research Centre (UGC/CRC) Sponsored by the Hong Kong SAR Government since 2005. Currently he is Presidential Chair Professor in Chinese University of Hong Kong (Shenzhen). He also serves as Visiting Chair Professor in Tsinghua University and HIT, and Adjunct Professor in Shanghai Jiao Tong University, Peking University, National University of Defense Technology and the University of Waterloo. He is both Founder and Editor-in-Chief, International Journal of Image & Graphics (IJIG) (http://www.worldscinet.com/ijig/ijig.shtml) and Springer International Series on Biometrics (KISB)(http://www.springer.com/series/6191); Organizer, the first International Conference on Biometrics Authentication (ICBA); and Associate Editor of more than ten international journals including IEEE Transactions and so on. Over past 30 years, he have been working on pattern recognition, image processing and biometrics, where many research results have been awarded and some created directions, including palmprint recognition, computerized TCM and facial beauty analysis, are famous in the world. So far, he has published over 20 monographs, 400 international journal papers and 40 patents from USA/Japan/HK/China. He has been continuously listed as a Highly Cited Researchers in Engineering by Clarivate Analytics (formerly known as Thomson Reuters) in 2014, 2015, 2016, 2017 and 2018, respectively(http://highlycited.com). He is also ranted about 80 with H-Index 103 at Top 1000 Scientists for international Computer Science and Electronics(http://www.guide2research.com/scientists). Professor Zhang is a Croucher Senior Research Fellow, Distinguished Speaker of the IEEE Computer Society, and a Fellow of both IEEE and IAPR. Yuan-Ting Zhang is currently the Chair Professor of Biomedical Engineering at City University of Hong Kong. He was the Sensing System Architect in Health Technology at Apple Inc., California, USA in 2015. He was the founding Director of the Key Lab for Health Informatics of Chinese Academy Sciences (2007-2018). Professor Zhang dedicated his service to the Chinese University of Hong Kong from 1994 to 2015 in the Department of Electronic Engineering, where he served as the first Head of the Division of Biomedical Engineering and the founding Director of the Joint Research Center for Biomedical Engineering. Prof. Zhang was the Editor-in-Chief for IEEE Transactions on Information Technology in Biomedicine. He served as Vice Preside of IEEE EMBS, Technical Program Chair of EMBC’98, and Conference Chair of EMBC’05.Prof. 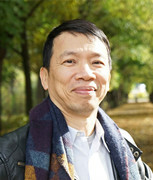 Zhang is currently the Editor-in-Chief for IEEE Reviews in Biomedical Engineering, Chair of 2018 Gordon Research Conference on Advanced Health Informatics, Chair of the Working Group for the development of IEEE 1708 Standard on Wearable Cuffless Blood Pressure Measuring Devices, and Chair of 2016-2018 IEEE Award Committee in Biomedical Engineering. Prof. Zhang's research interests include cardiovascular health informatics, unobtrusive sensing and wearable devices, neural muscular modeling and pHealth technologies. He was selected on the 2014, 2015, 2016 and 2017 lists of China’s Most Cited Researchers by Elsevier. He won a number of international awards including IEEE-EMBS best journal paper awards, IEEE-EMBS Outstanding Service Award, IEEE-SA 2014 Emerging Technology Award. Prof. Zhang is elected to be IAMBE Fellow, IEEE Fellow and AIMBE Fellow for his contributions to the development of wearable and m-Health technologies. Alexander Suvoror focus on the study of microbiological molecular biology, genetic and diversity of microbial communities, medicine for human rehabilitation, and the development of probiotics and some vaccine. The honors are listed below: President stipend for advanced scientists, Honorable diploma from the Scientific committee of Russian Duma, First prize of the Presidium of Russian Medical Academy for achievements in Medical science, Stipend for advanced scientists of Russia, one of the 100 best inventions of Russia, and so on. More than 180 papers and 7 monographs were published. 21 patents were granted. Prof. Alexander Suvoror also serves as the Director of the Department of Fundamental medicine and medical technologies of Saint-Petersburg State University, the Senior Researcher/General Manager of Russian Avena Technology Co.,Ltd., the chairman of the 18th International Conference on Intestinal Biology, the consultant on WHO streptococcal disease, the member of European Society for Clinical Microbiology and Infectious Diseases(ESCMI) and the Bureau of the International Society for Microbial Ecology(SOMED), and the director of the St. Petersburg Microbiology Society. Dr. Pai received his Ph.D. degree in electrical and computer engineering from Duke University, Durham, NC, USA. He joined the Telecommunication Laboratories governed by the Ministry of Transportation and Communications of Taiwan, where he served as an associate researcher and a project leader to develop kernel technologies in intelligent official document analysis and Chinese optical character recognition systems. After three years in governmental research laboratories, he switched to academic fields as an associated professor. He was a faculty member in Department of Computer Science and Engineering, National Taiwan Ocean University where he served as the Department Chairman from 2002 to 2004. He works currently as a full professor at National Taipei University of Technology and served as the Director of Bioinformatics and Medical Informatics Research Center, Taipei, Taiwan. 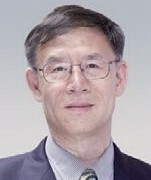 Dr. Pai has received several teaching and research awards from National Taiwan Ocean University and he served as general chairs and regular program committees for several international conferences in the areas of bioinformatics, machine learning, and data engineering, and he also served as a chief guest editor of several special issues from the journal of Biomed Research International. Dr. Pai is member of ACM and IEEE SMC societies. Speech Title: "Integration of Mining Disease Trajectory Patterns and Whole Exome Sequencing Analysis for Biomarker Panel Construction"
The main objective of this talk is to describe a new approach of designing a testing panel kit for preterm birth detection through disease trajectory pattern search and genetic analysis of whole exome sequencing techniques. The designed panel kit is able to detect high-risk preterm delivery in order to prevent infant deaths and to reduce required subsequent medical resources. We have initially surveyed a set of biomarkers by collecting current genetic information associated with preterm birth such as dbPTB, GEO, and OMIM datasets. Incorporating these published biomarkers and our discovered disease trajectory/comorbidity of preterm births from Taiwanese governmental medical records, genetic mutations were validated by clinical samples. The project is yet undergoing and cooperating with biotech companies to develop an efficient and practical testing panel kit for high-risk of preterm birth, especially focusing on oriental women. The novel and specific biomarkers are discovered mainly based on our developed data mining algorithms for identifying disease trajectory patterns and whole-exome sequenced data from Asian women. Through cooperating with medical doctors and industrial companies, the effectiveness of designing a testing panel kits could be achieved and validated by sufficient clinical samples, and high-risk preterm delivery could be early detected and prevented.